Baanx is the world’s blockchain cryptobank Network which uses Smart Contracts to share bank licenses and сreate сutting edge, branded cryptobanks. Cutting Edge Services: Crypto Exchange, Crypto & Fiat Mobile Payment Services, Insured Fiat & Crypto Account Wallet, Loans, Savings, Credit Cards, Investments, Business Banking - Financial Apps. Cryptobank Network Funding: bank license sharing. The creation of customer portfolios of account holders, crypto exchange users, investors, asset backed lending, micro-lending, credit cards, business banking, payment users can be sold to other Baanx Cryptobanks for BXX  trading of assets between Cryptobank brands. Existing successful online financial services brand is growing and developing AI led products and technology. A Decentralised Crypto-Financial Services & Cryptobank concept is pursued, work begins by FCA team and technical team on key products and blockchain product development, as well as vital secret development work is begun. Discussion begin about potential for ICO in 2018. 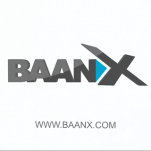 Operating Brands of Baanx Group deliver $millions in loans in the UK and we grow new Products. Extensive Funding into Baanx is started. Whitepaper creation & writing with team and advisors. Customer research and reach out to Cryptobank potential users underway. Baanx Group has already completed $millions in Loans over recent years. Driving AI Technology across the Consumer Lending market. Final work turning alpha products into released product across payments, exchange and wallets - all with innovative and new features. ICO Planning, Website creation, further work on MVP, mobile development and licensing agreements for new products is achieved. 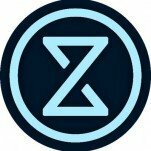 ICO Is released and delivered to great success. ICO completed, FCA Licenses extended in UK & Lithuania E-Money License Approved. New Product base and existing Product base is growing extensively. New Crypto-Financial Services Brands are being released and bringing volume customer acquisition from existing trusted customer networks. EU, UK & International Banking Licenses Granted, World's Fastest Growing Platform through Sharing Bank Licenses on our rule based platform. Baanx.com customer acquisition and products fast growing. Baanx.com Network has grown extensively and delivering great crypto scaleability. Baanx.com No.1 Cryptobank Network and at least 100 new Crypto-Financial Services Brands are released across the world - all bringing their existing customer network into using Cryptocurrency and Blockchain in everyday life. 3rd Party Open API with Product releases from external sources available across all 100 Crypto-Financial Services Brands. Well on the journey to disrupting the centralised traditional banking sector with our decentralised ownership model. Crypto Investor, Trader and Specialist.